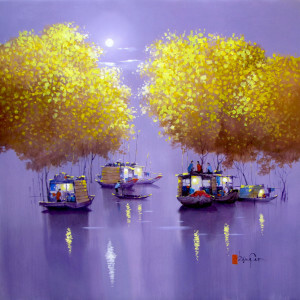 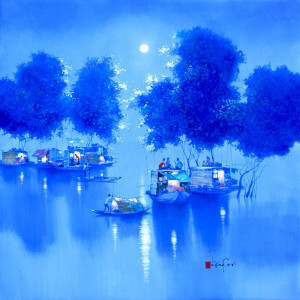 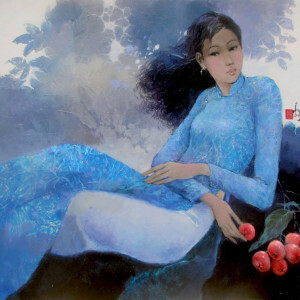 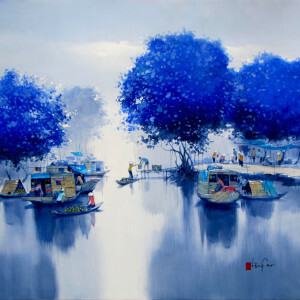 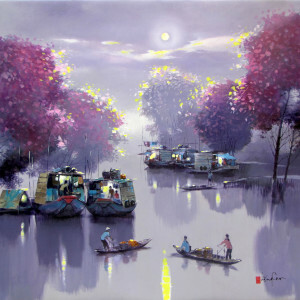 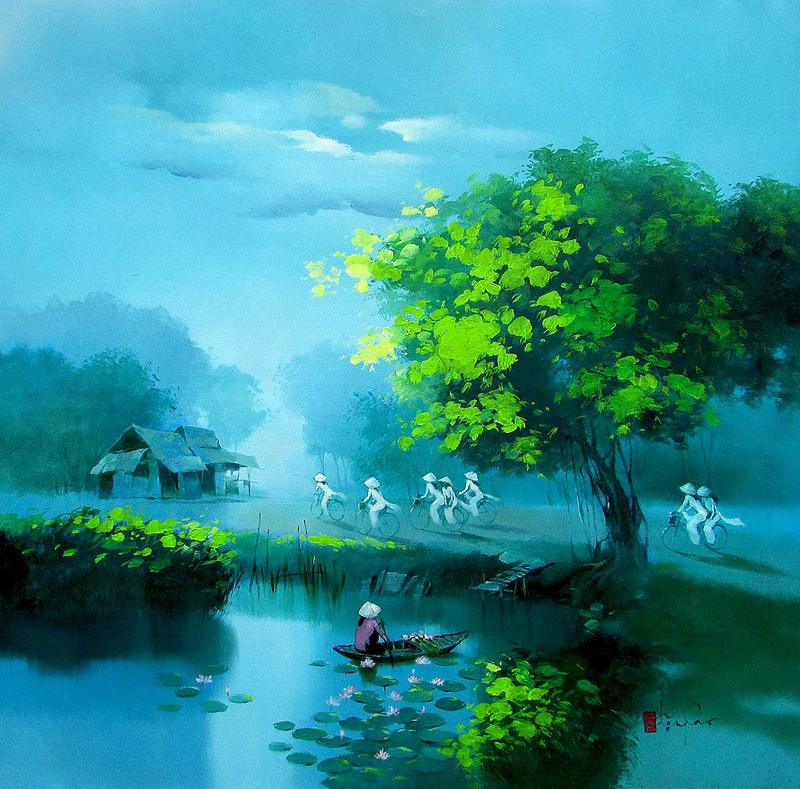 Contemporary Asian artist Dang Can imbues a dream-like quality to this composition depicting the early morning hours. 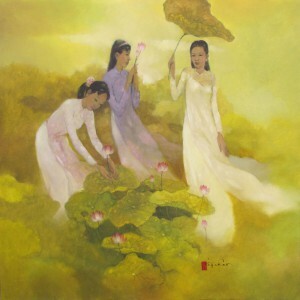 The sun is not fully up but schoolgirls in white AoDais cycle nimbly to the school while a woman gathers lotus flowers in a lotus pond. 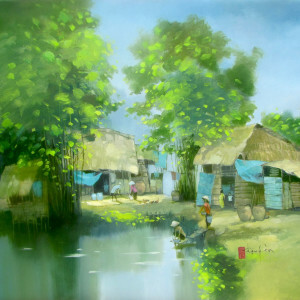 The green and blue palette depicts the morning freshness effectively. 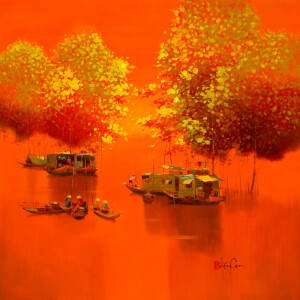 The painting’s lush lyricism is very attractive.